A strategy that has worked well for our clients over the years is supporting campaigns that are related to their industry and that really matter to them; those which tie into the work they do as a business and their goals. Here at Bronco, we do this ourselves by supporting local organisations such as sports clubs, as well as participating in other corporate social responsibility campaigns, such as our Bronco bees that you may have heard us buzzing about on social media! Here’s an example of how we’ve taken on board this strategy to create a successful client campaign in early 2018. Smart Cells is a private cord blood collection and stem cell banking company. They are the first UK private company to have successfully released stored cord blood units to transplant centres worldwide, to treat children with life-threatening illnesses. Smart Cells are keen to increase awareness around the service that they offer. Cord blood collection and stem cell storage is relatively unknown, particularly as a private service, and there are myths perpetuated of incorrect information around the ethics behind it. 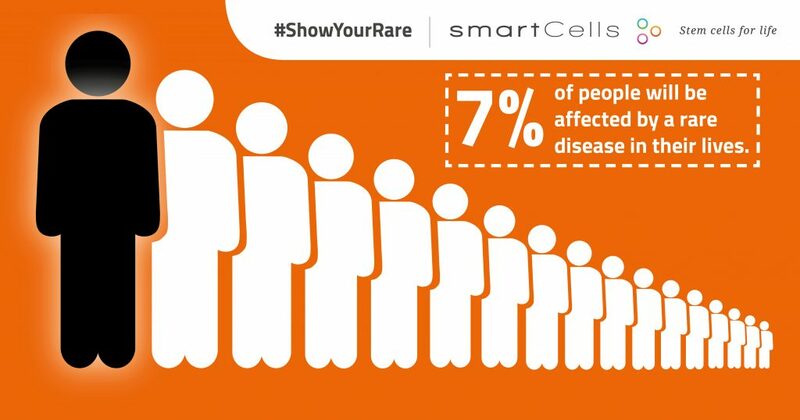 We brainstormed the idea for Smart Cells to support Rare Disease Day 2018 (28th February) with a series of images to be shared across Smart Cell’s main social media platforms: Facebook, Twitter and Instagram. The imagery included facts and stats on Rare Disease Day – broadly, by talking about what rare diseases are, when Rare Disease Day is and how you can help; more specifically by focusing on examples of rare diseases, including Thalassemia Major and Severe Combined Immunodeficiency (SCID). Using their influence within the medical and healthcare industry to increase awareness around the conditions and diseases brought to attention by Rare Disease Day. As a secondary result, to show Smart Cells as compassionate and knowledgeable experts in their industry by supporting research into conditions. The images were designed so that they would each fit the social media platforms they were needed on, and a unique caption with campaign specific hashtags was written for each platform. In order to drive as much interest and interaction as possible to the social media posts, we targeted a range of carefully selected healthcare and medical industry magazines and sites with a press release in the run up to the campaign, priming them for the release of the images. We also ran a blog post on Smart Cells’ own blog the week before the campaign began, priming Smart Cells’ audience, and shared this onto Medium. The campaign began the week of Rare Disease Day, with two images released in advance, and three images on the day itself. The targeted healthcare and medical industry sites responded very well to the campaign, securing us 20+ pieces of high profile coverage with an estimated total online readership of 4.23m and 16.8K coverage views. In addition to this, we also approached a number of influencers who share content around rare diseases on their blogs and social media, resulting in a number of social media shares from relevant people.